Igor recently completed his LLM at the School of Law. I remember exactly how I felt the moment I entered the International Student House for the first time. My excitement, building up as I was watching DC passing by through my taxi-cab window that afternoon of August 2015, exploded into a paroxysm of welcoming warmth and international fraternity the second I walked in. All those smiling faces, those greeting words cast in my direction were the simple promises of love and the germs of genuine affection. It was like that Miley Cyrus song, “I walked off the plane at RCA, with my dream and my cardigan… Welcome to the place of fame and success, am I gonna fit in..?”. Except that it was not; the song of my life at the specific moment of my arrival borrowed more tunes and lyrics from the Celine-Dion-air-blowing-in-the-wind’s theme song of the sinking Titanic into the iced waters of reality than from the innocent teen-yet-future-hammer-enthusiast mouth of Hannah Montana. Yes, reader, I deceitfully lured you into attention and empathy with all my introductory cheesiness; but honestly: who wears cardigans in the DC summer? Correction: who wears cardigans? I WISH my first and only stay had been at International Student House. What I found as my first accommodation was a disorienting trap from an immoral, money-making landlord who had posted an advertisement for a room still occupied by the previous tenant- a student like me- who was late on his rent because of a delayed scholarship. The idea was that someone like me, unknowingly, would show up and put pressure on the person to force them out. I decided to leave as soon as possible, which I did 3 days later, without the refund of my 500$ advance. I would spend the following semester in acceptable conditions alongside future ISH co-resident Mylène Garrouste (to be pronounced with a French accent so thick you can smell the cheese), but I envied all of the House’s occupants from the very first time former resident Claudia Meloni introduced me to it. Of course this House rarely lets indifferent. I am certainly not the first one the rugs, furniture, the coziness of the TV room and the grandeur of the Great Hall have wowed. But those are not just empty walls. 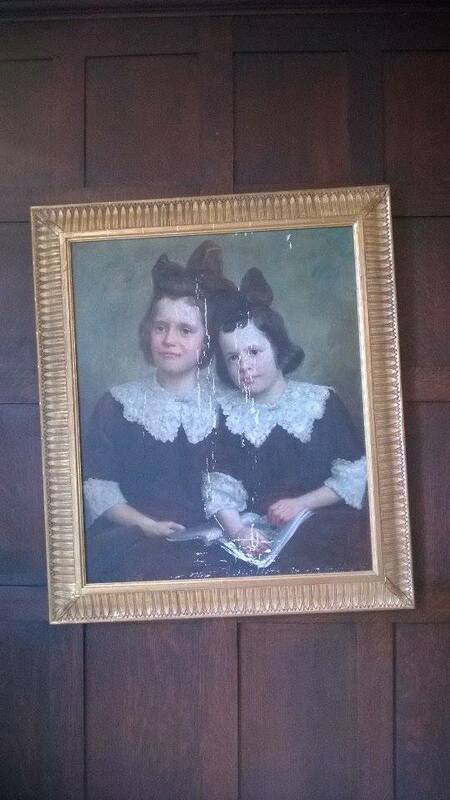 Though I am certain many residents before me have imagined a harrypotteresque ghost would hover out of a library’s painting (like the one wherein the creepy twin sisters from the Shining are staring at me with warning smiles as I am writing this piece), no resident could be so transparent as to be mistaken for a pale mist the shape of a human being. I’ve always been skeptical whenever a place or people would advertise their “true sense of community”. Pardon my nature, but as a Parisian, I’ve been socially programmed to infer that, whenever I meet someone new, there is a good probability that this person is a pretentious idiot. I know this sounds awful, precisely because this defense mechanism tends to turn us all into pretentious idiots (except for me). However, for ISH, I was wrong. Since I dropped my suitcase up the stairs of Marpat (the boys men’s building) the 1st of January 2016, I don’t think I’ve ever made that many friends/buddies/acquaintances/people-who-do-not-hate-me in a short period of time. Whether it be around the dining table, the ping-pong table, in the garden, playing Risk, watching the game (of Thrones) or the elections in the TV room, or casually conversing upon the most recent news reports the vast array of media the House furnishes relay… there are a hundred ways to mingle and giggle and jingle with the people of our jungle, whether you are in a couple or single, we live as colorfully as in Kipling’s fable (the Disney angle, and without the child-kidnapping). Going back to my pretentious-idiot theory, it also amazed me to get to know so many humble but knowledgeable, educated individuals, from so many different backgrounds and perspectives. In this respect, ISH is like its own think-tank. Of course, on some occasions, the Soldier Think deserts the tank, barely parked in front of Front Page on a Thursday night. It is also a secret to no one that ISH’s location makes up for a significant part of its wealth. Seconds away from Dupont Circle and its busy life, almost a neighbor to the Obamas, residing at the House means having the opportunity to experience the American Capital to the fullest. Dismissed early from class, have a stroll at the National Mall! Your employer called you the most under-productive breathing apparatus (s)he’d ever seen and fired you from your internship? You can dry your tears on your way to the Philipps Gallery, right at the corner of R street! And this is Madness because our house is in the middle of R street! Our house..! However, there is no need to get out of the house for eventful evenings. On a regular basis, ISH holds events and conferences with experts and distinguished guests. As an example, I have had the privilege to meet and dine with Mohammed Jaham Al Kuwari (Ambassador of Qatar to the US) and with Ambassador Maen Areikat (head of the Palestine Liberation Organization). Other residents and I have been invited to the German, Italian and Egyptian embassies. 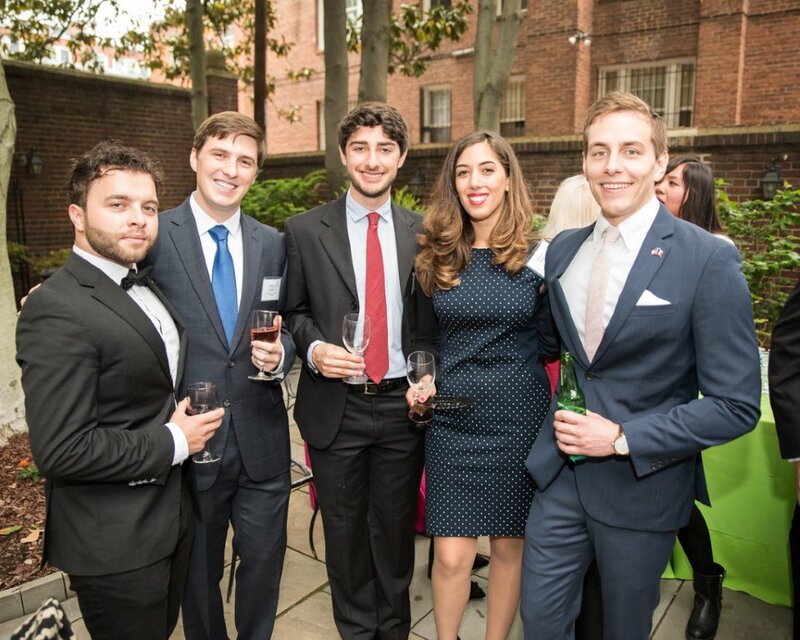 Finally, the 2016 edition of the must-attend ISH Garden Party, where guests, residents, board members and employees of the House don their most refined fineries (no cardigans), gathered around drinks and amuse-bouches no less than four congress(wo)men, 20 ambassadors, and countless diplomatic corps representatives. Forget the plane – this is one fast and inexpensive way to travel. “How does it get any better from there?” is the question that might be buzzing your lips, curious reader. In all seriousness, and from my own experience, I truly believe the ISH is the best place in DC to land at as an international student or intern. It’s never easy settling in a foreign country. One most likely does not have any family or many friends on whom to count in case there is a problem. We don’t necessarily know the customs and how things work in the United States. Of course, many of us have travelled here before; but living for 3,4,5,6 months up to a year or more abroad is an altogether different and sometimes scarier affair than mere tourism. Me, last August, it was the fourth time I landed in the United States, and I believed with such confidence that the US was a country that I knew well and where I would find my bearings easily. Alone, far from my family, trapped in the despicable scheme of a landlord that could not be trusted: my first accommodation was a disaster, and I was surprised at the sheer sense of vulnerability that took over me. It is very hard to enjoy the novelty, beauty of your surroundings if your foundations are as unstable and shaky and fragile as the ethics of my first landlord. My second accommodation was better, but not ideal either. At ISH, I felt stepping off the Mayflower onto a safe haven. There I found people organized and prepared to work for me, not against me. Truly, the staff members of the House are like the bouncers at a shady nightclub: they provide a feeling of security. And to me, beyond all of the marvelous events and people, this was the most important: to start our busy months in the best conditions, and generally, for our well being and plenitude. We have stability, friends, drinks and amuse-bouches (and also real food): we can feel at home. And you could too, so come on in! Except if you wear cardigans, then you may not come.